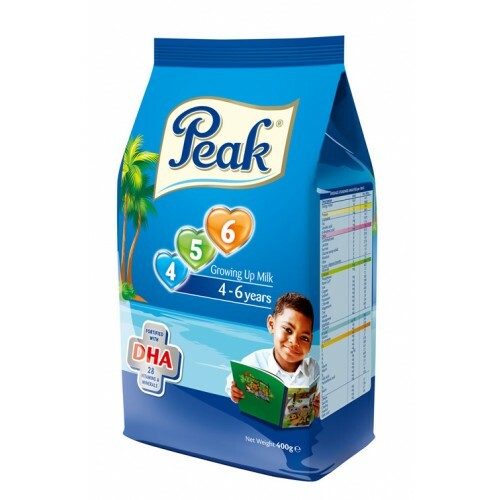 Tags: Peak, Growing, Up, Milk, 456, Pouch . New peak 4-5-6 supports your child's brain, health and growth during the important development period from 3 years onwards. Since about 90% of your child's brain growth takes place by the time he is 5 years old, Peak gowing up milk is fortified with DHA.